The first three story collections by Ivan E. Coyote featured insightful, deeply personal tales about gender, identity, and community, based on her own experiences growing up lesbian in Canada's North. Ivan's most recent book, Bow Grip, was her first novel; it was shortlisted for the Ferro-Grumley Prize for Women's Fiction, was named a Stonewall Honor Book by the American Library Association, and won Canada's ReLit Award for Best Novel of the Year. 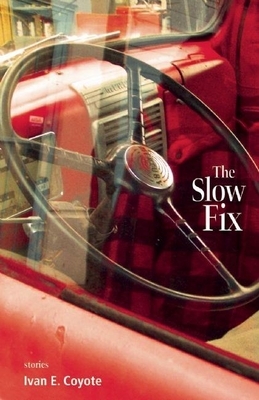 With The Slow Fix, Ivan returns to her short story roots in a collection that is disarming, warm, and funny, while it at the same time subverts our preconceived notions of gender roles. Ivan excels at finding the small yet significant truths in our everyday gestures and interactions. By doing so, she helps us to embrace not what makes us women or men, but human beings. Ivan E. Coyote is the author of five books, all published by Arsenal Pulp Press. Born in Canada's Yukon Territory, she lives in Vancouver, BC. Ivan E. Coyote is originally from the Yukon, and now lives in Vancouver. She is the author of three previous story collections and the award-winning novel, Bow Grip.